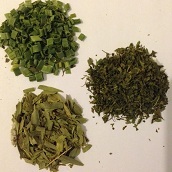 Herbs, more so than spices, are used widely in French cooking. 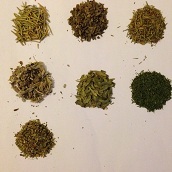 Basil, Bay, Marjoram, Parsley, Sage, Tarragon and Thyme are the dominant herbs. The Alliums (family of bulbs) including Chives, Garlic, Leeks, Onions, and Shallots are widely used too. 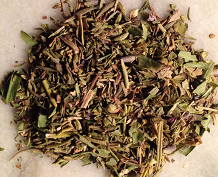 Dried herb blends of Bouquet Garni, Fines Herbes and Herbes de Provence feature herbs grown traditionally in France’s southern region. 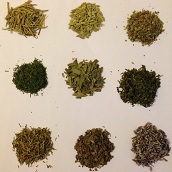 Today, many commercial varieties of these blends are using herbs cultivated and grown in other parts of the world. 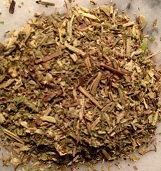 "Garnish Bouquet" - A bundle of herbs tied together (fresh herbs) or tucked in a sachet/cheesecloth (dried herbs), and used to flavor soups, stews, and stocks. 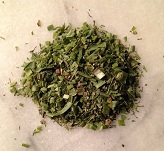 Generic name for herbs grown in France’s southern region of Provence; now grouped and referred to as a blend usually comprised of rosemary, thyme, oregano, savory, marjoram, basil, and other herbs like tarragon that are most likely acquired from countries other than France. 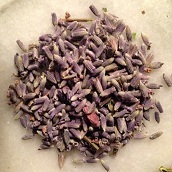 American blends usually include lavender which is not widely used in traditional French cooking.